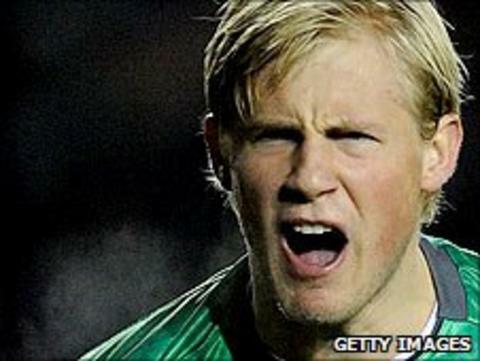 Leicester City have agreed to sign Leeds United keeper Kasper Schmeichel for an undisclosed fee. The 24-year-old, who played for Foxes manager Sven-Goran Eriksson at both Manchester City and Notts County, has agreed a three-year contract. Football director Andrew Neville told the club website: "Sven knows Kasper extremely well and regards him very highly so we are delighted. "He is another player at a good age for our long-term objectives."